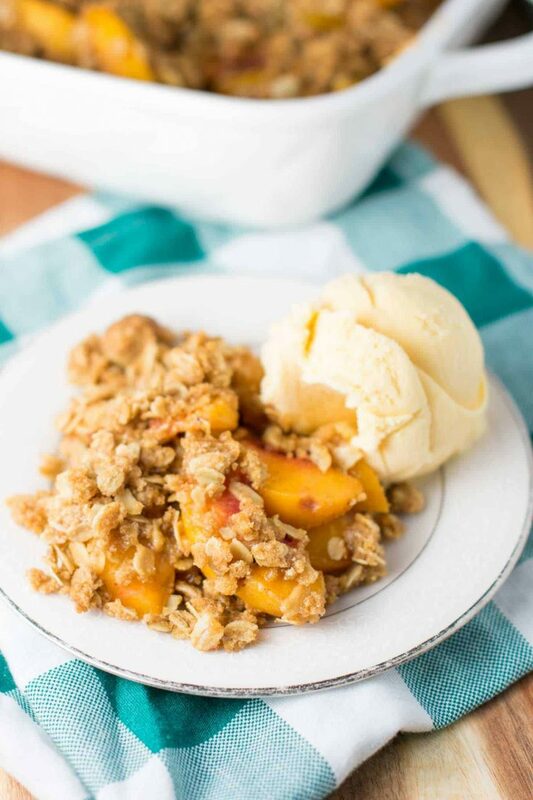 Easy peach crisp – an easy dessert that can be made anytime of year! 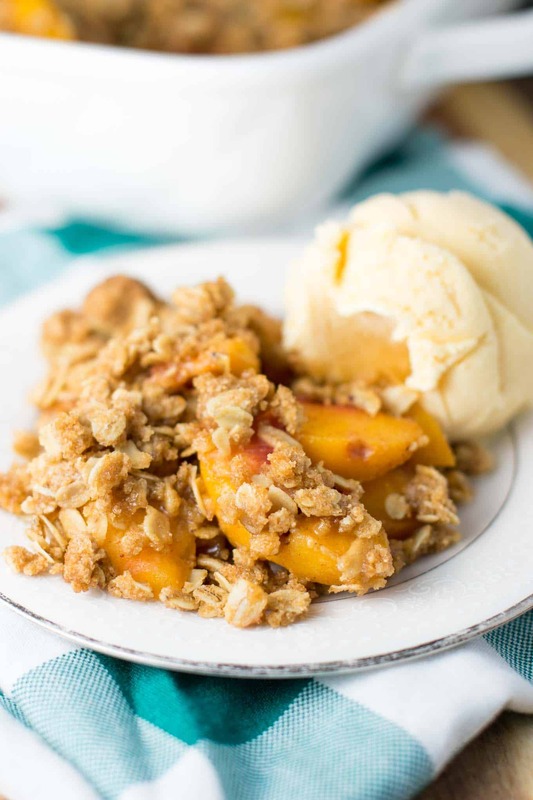 As much as I love fresh peaches, this recipe uses frozen peaches. The reason? Convenience. 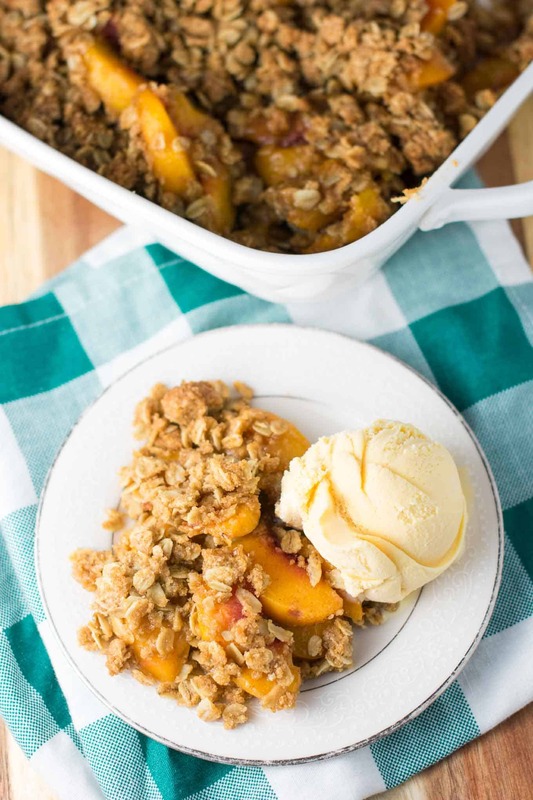 This easy peach crisp comes together in minutes and is juicy and flavorful. Allow your peaches to thaw slightly, then place in a large bowl. They will need to be partially thawed in order for the ingredients to stick to them. Once thawed, toss peaches with sugar, cornstarch (this helps thicken), and spices until coated. 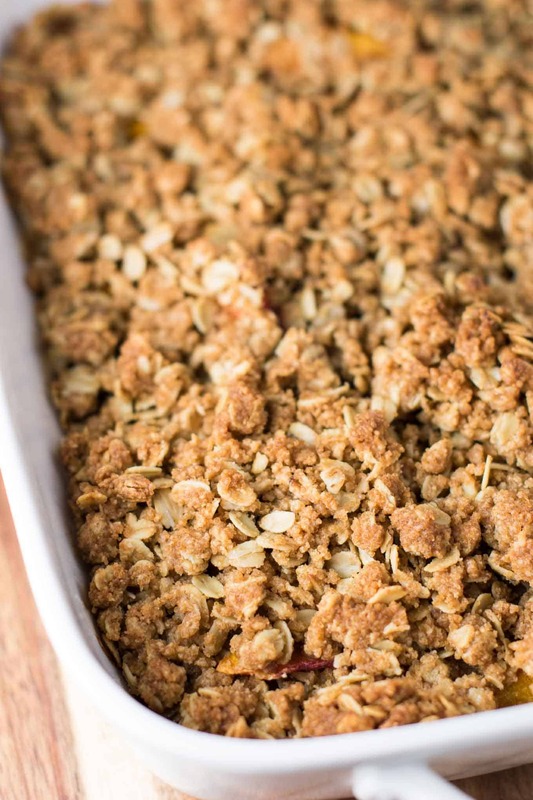 Make the crisp topping and set aside. 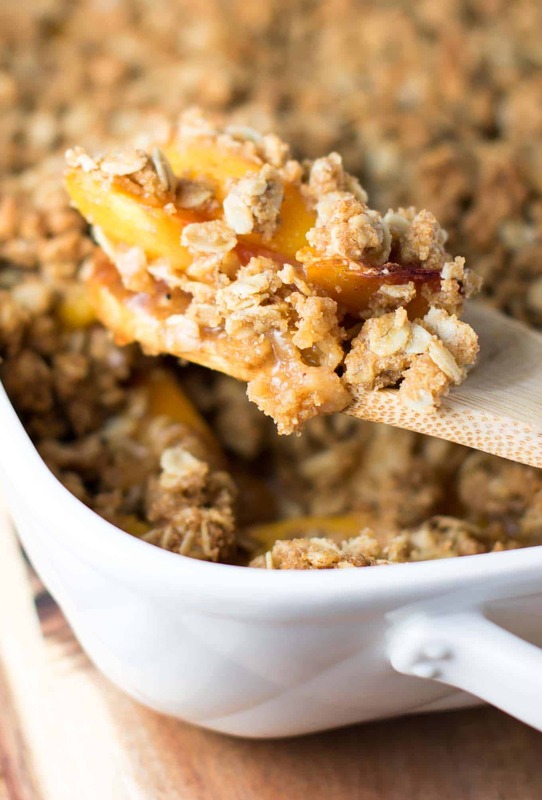 Grease a small casserole dish or pie plate and pour in the peach filling. Spoon the crisp topping evenly to cover the peaches. Bake in the oven at 350 degrees for 50 – 60 minutes, until bubbly. 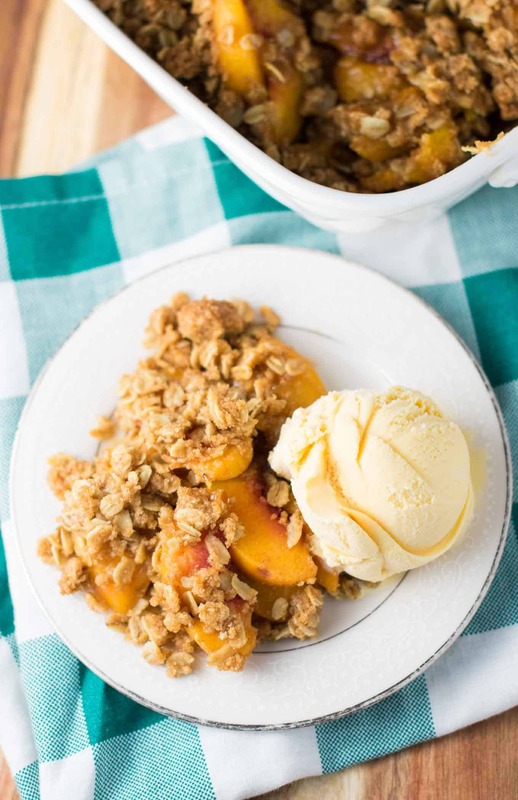 In just minutes you can throw this in the oven and in under an hour you’ll have a bubbly delicious peach crisp with a crumbly oat crumb topping. Be sure to follow me on FACEBOOK, PINTEREST & INSTAGRAMto never miss a recipe! Hungry for more? Here are my other crisp recipes! 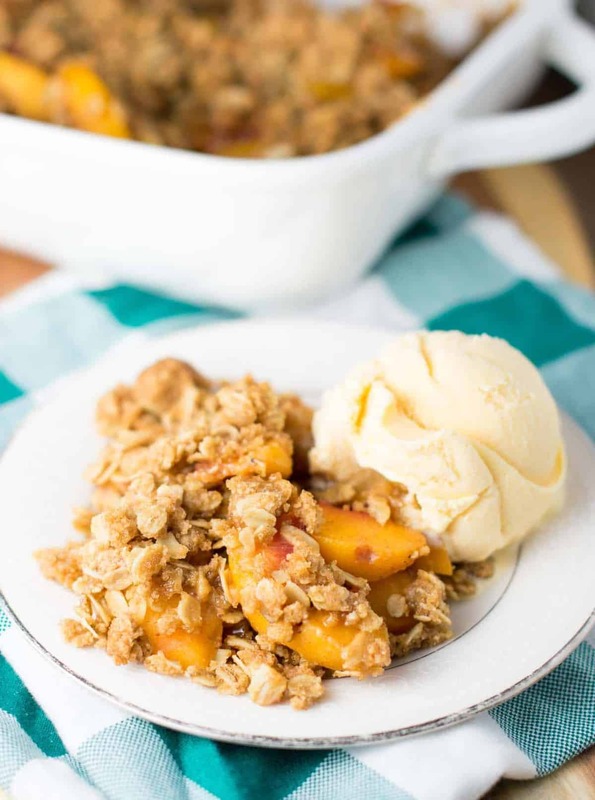 Serve this easy peach crisp recipe up with a scoop of vanilla ice cream for a delicious dessert! Whatever you have works, I have used a 9″ pie pan as well as a smaller 3 qt dish. Just keep an eye on cook time to make sure it doesn’t burn.